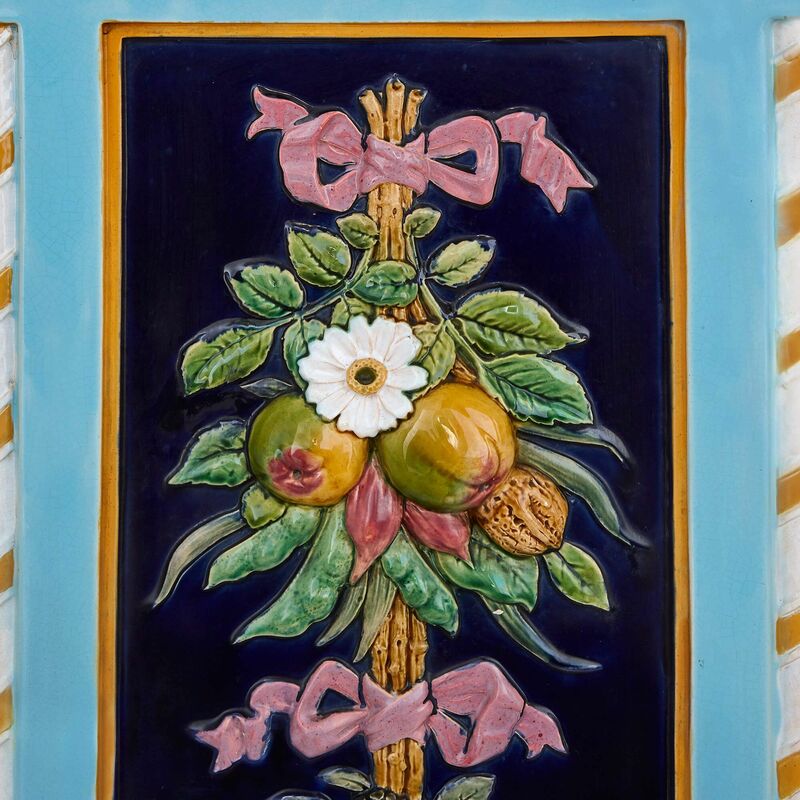 These Victorian pedestals are a unique example of British Minton majolica, decorated in a typical Minton style which celebrates nature's abundance. 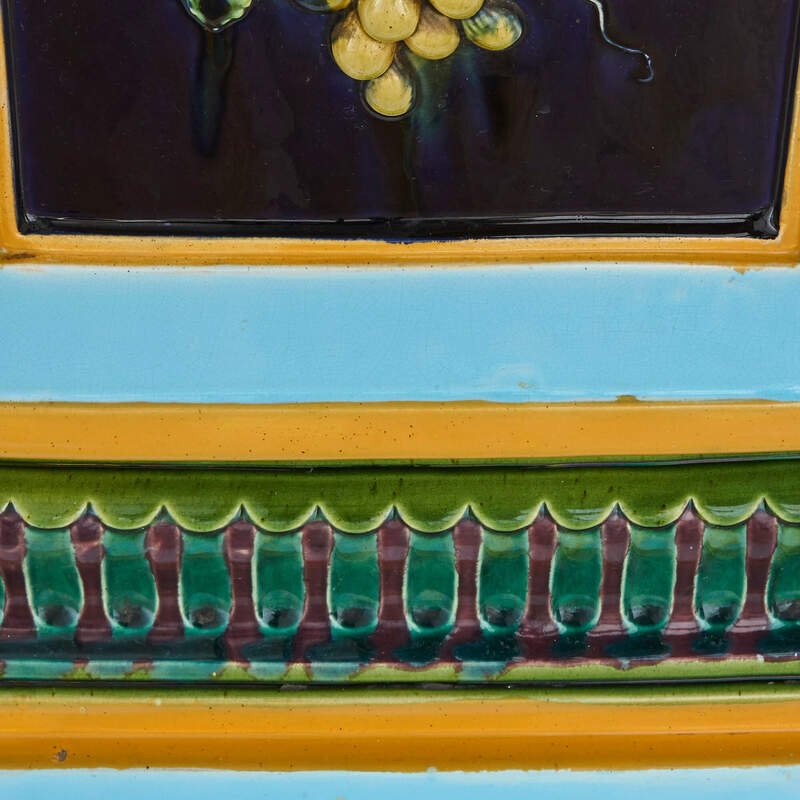 These exuberant majolica pedestals are the work of the English Minton factory, producers of some of the country's most-revered ceramic pieces. 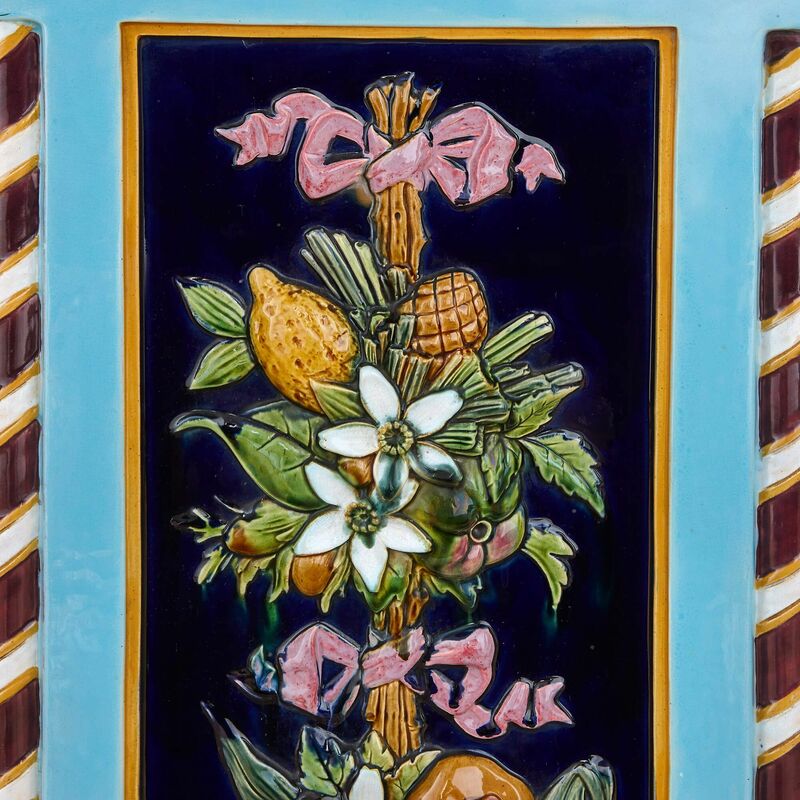 Each one is brightly coloured and decorated with festoons of fruit and flowers in a typically flamboyant Minton style. 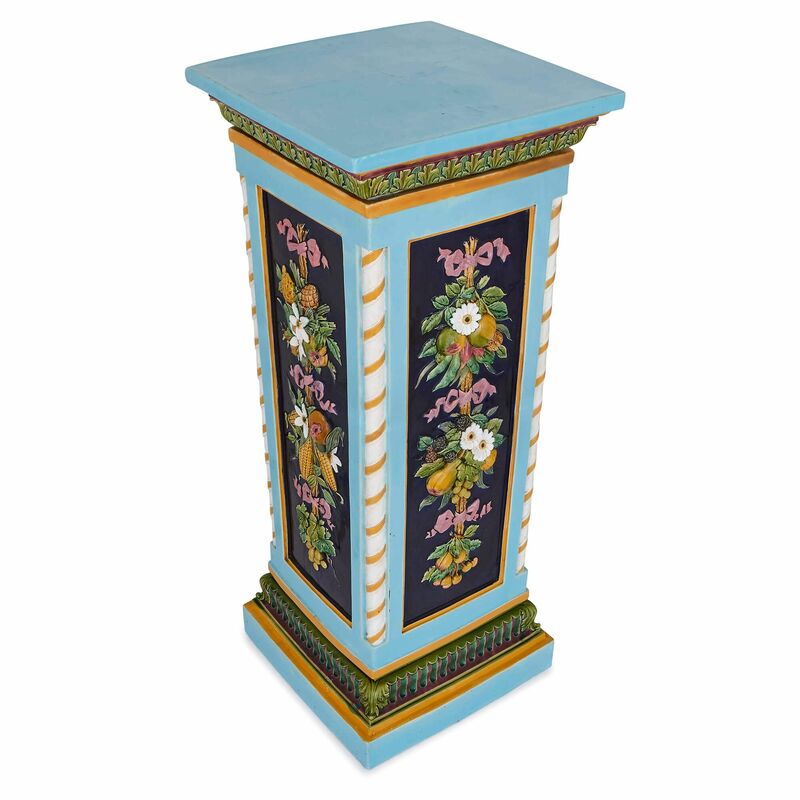 Each pedestal is square in form, set on a square base and has a turquoise square plinth top. 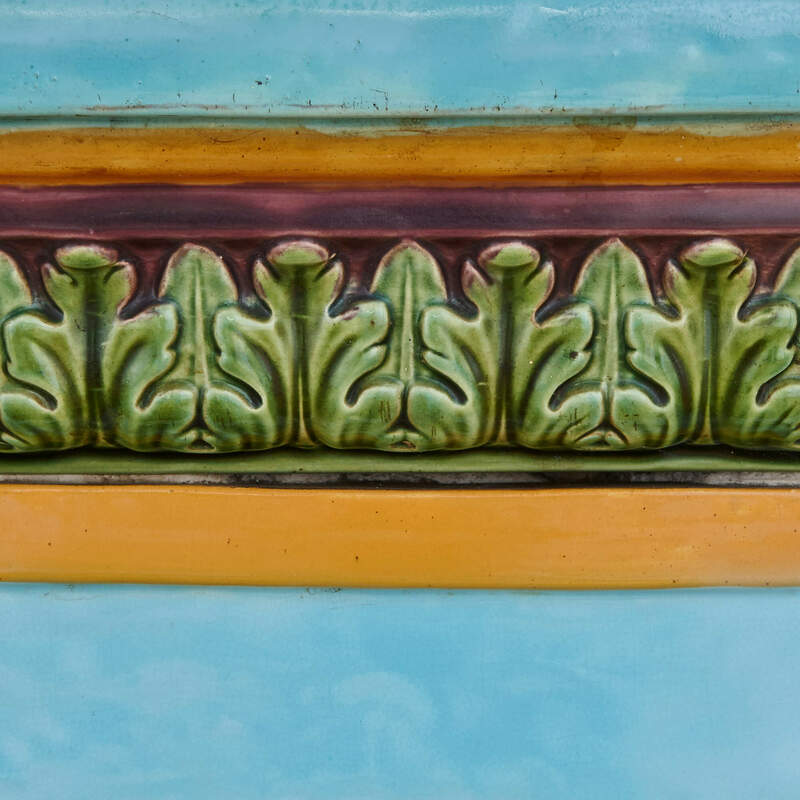 Below the top and above the base there is a band of green acanthus leaf decoration. 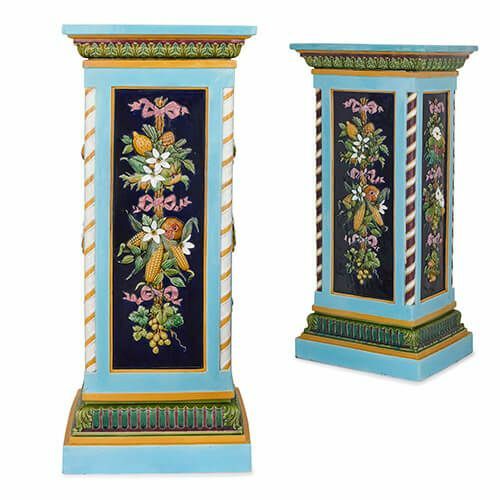 Around each side of each pedestal column there are coloured festoons shown on black ground, and at each corner there are spiral pilasters: on one, these are coloured yellow and white, and on the other white and purple. The pedestals are a near pair: that is, one pedestal is taller than the other by three centimetres. Acquired in Stoke on Trent by an Aristocratic family around 1900 and passed through the family for over 100 years. The Dictionary of Minton, revised edition Woodbridge, by M Batkin, p158.